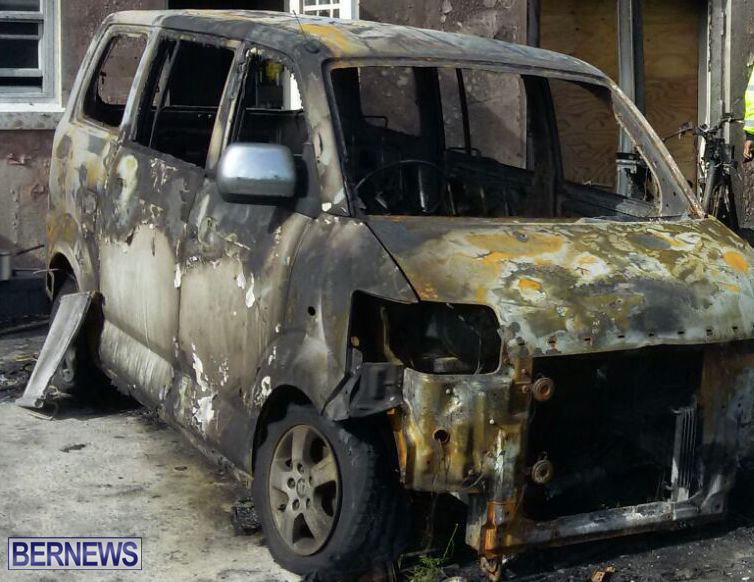 An early morning fire in Sandys resulted in damage to three motorcycles, one car and a nearby residence, with the Bermuda Fire and Rescue Service responding with three vehicles and nine personnel to extinguish the blaze. 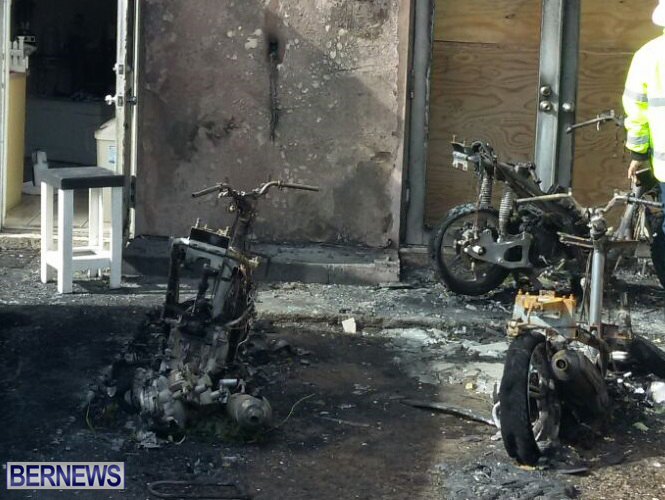 Fire Service spokesperson, Sergeant Russann Francis said, “On arrival we found there were 3 motorcycles and one car engulfed with flames. 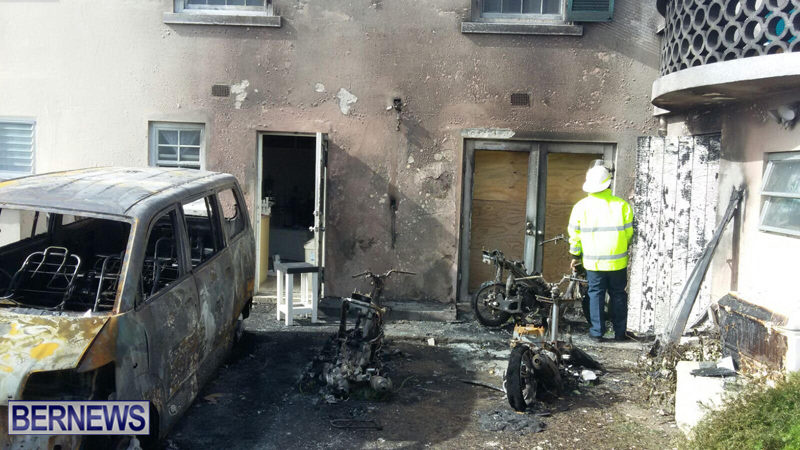 The extension of the fire resulted in damage to the exterior of a nearby residence. Some comments do not even deserve a response. Luckily no-one was seriously injured, but if you felt the need to get it off your chest, hope you feel proud of yourself. I guess you can go collect your Immigration status card from the Home Office. Ya tryin to hard with the OBA Worker lmfao! FRAUUUUD! People aren’t thaaaat stuipd! 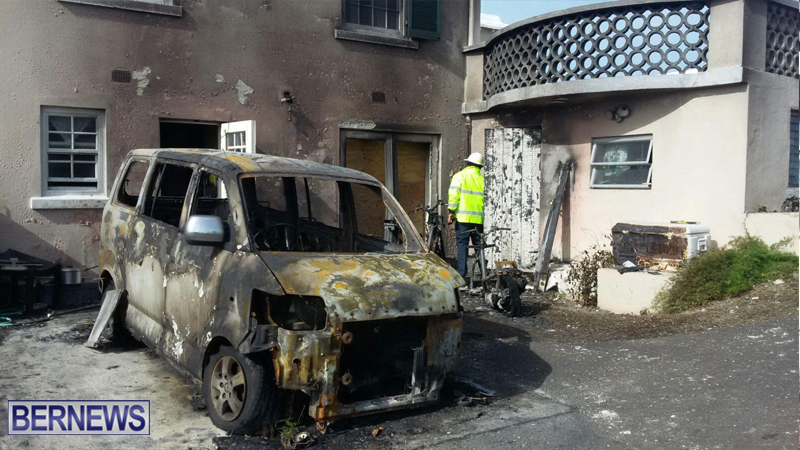 No joke if this was deliberate vandalism /arson.You say to these thugs they’re going too far the response will be there is no such place.